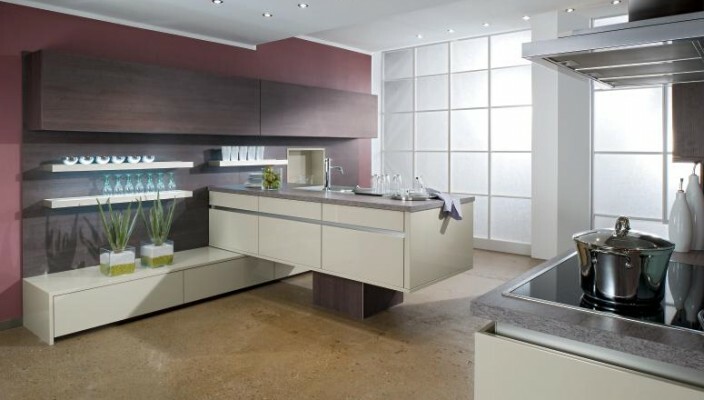 Your kitchen can become a model of style and efficiency with only few and simple changes. You may feel like there’s a lack of storage and space, but truth is even one small kitchen also can be an efficient one. A smaller kitchen means just few steps between stove, counter, sink, cupboards, drawers and refrigerator at your fingertips. So embrace the kitchen you have and maximize space available to you. Look for appliances that can fit in space available in your kitchen. This will help by giving you more space in your kitchen and it will not feel crowded. You can paint one accent wall with color complimenting the color of your floor and other walls too. Like this kitchen there is enough space available so you do not need to paint it in light colors. You can go for a shade of magenta and can use it on counter top. For lighting, design large windows from ceiling to floor and for night try many small lights for adding glitter in your kitchen.